From time to time, I have random thoughts spinning through my head, which I need to get out. Like today. These are my musings in a nutshell, which I’m happy to share, rather, unload, on you. And They’re Off! I don’t know about you, but I keep getting all stressed out by Black Friday, which is just days away. The anticipation, the frenzy, the mad rush to buy, buy, BUY! But, if you ask me, BF has become a holiday in and of itself. Our annual duty as Americans, to open our wallets and hand over our cashola, to the retail industry. Needless to say, Black Friday is as integral to our way of life as eating deep-fried Twinkies at country fairs, and voting for the next American Idol. It seems to me, this holiday is buried next to Thanksgiving and is in danger of getting lost in its shadow. Indeed, we’re doing it a disservice by wedging it between Thanksgiving and Christmas. Throw in Hanukkah and Kwanza, and it’s a recipe for disaster, my friends. Which is why I’m proposing we move Black Friday to sometime in the summer, away from all the holiday hysteria. Cyber Monday, too, for that matter. Let’s move them both and spread out our national holidays, once and for all. It’s time we let Congress know we won’t stand for anyone squishing our holidays together anymore, unless of course, we’re talking about the 12 Days of Christmas or the eight days of Hanukkah. Those, we can still keep together. Incidentally, have you thought about what you’re getting me for Black Friday this year? Queen of America — Adventures by the Book does it again! Looking for something fun to do this holiday season? Get lost in a book or two, with exciting opportunities to meet really cool authors. I always enjoy these events and the rare experience it gives you to get to know an author and the backstory of their book. First up, on December 3rd, you can spend an intimate evening with renowned author and Pulitzer Prize-winner, Luis Alberto Urrea. 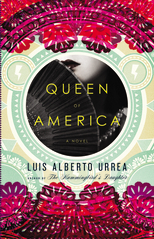 Enjoy a margarita and appetizers while learning about Urrea’s latest novel, Queen of America (and no, it’s not about me!). This sequel to The Hummingbird’s Daughter is, as Vanity Fair magazine puts it, “vibrant, larger-than-life fiction based on the ‘Saint of Cabora.’” Listen up, you folks in the Northwest: Adventures by the Book is planning a similar event on December 7th in Portland, Oregon. 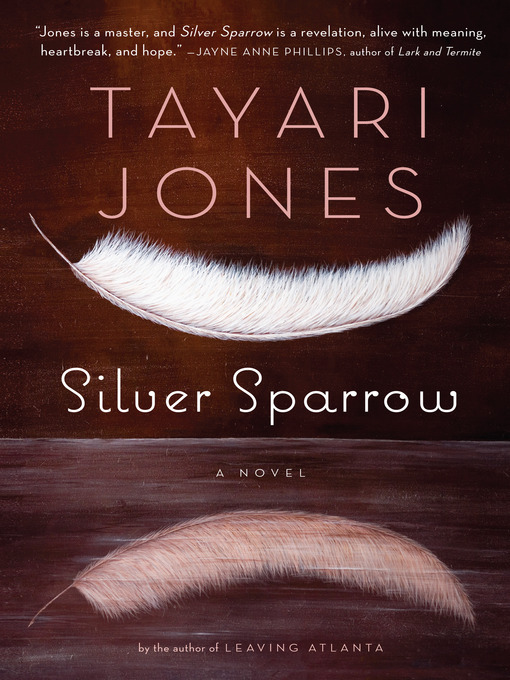 Silver Sparrow – On December 6th, Adventures is hosting a divine dinner with author Tayari Jones, who also happens to be a member of She Writes! I’m reading her book right now, Silver Sparrow, and it is wonderfully told from the perspective of a young girl whose father is a bigamist. He has two separate families and only one of them knows about the other. It is a story of deceit (a tangled web, if you ask me), and when the teenage daughters from both families finally meet, well, you just know something’s going to hit the fan. After Happily Ever After — Now that I’m blogging for the Huffington Post, including its Divorce section, I’m making all kinds of connections. Which is how I came to link up with Kate Schermerhorn. She has produced a fascinating documentary, After Happily Ever After, inspired by her own marriage and divorce—and subsequent second marriage. 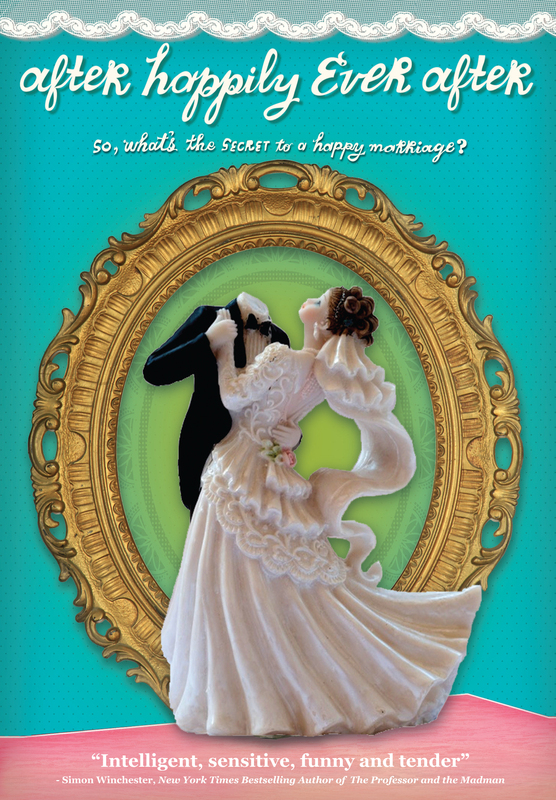 Kate asks, why do so many people marry when half those marriages will end in divorce? Which reminds me of an observation I heard on the pilot episode of the struggling, NBC sitcom, Whitney. In it, Whitney observes, that 50 percent of marriages end in divorce. Yet, if we were told that 50 percent of planes crash, would we still by as likely to fly? Hmm….Definitely something to ponder. Kate talks to many couples, young and old, dressed and naked. (Yes, one of the couples believes in a nudist lifestyle, which is probably why their marriage is working.) She also talks to psychologist John Gottman, who can predict divorce with 90% accuracy. Kate and her second husband are seen throughout the documentary, and as it progresses, you see their own marriage beginning to dissolve. It’s a candid film, with a humorous flair, and recommended viewing for anyone in a relationship or wanting to be in one. Visit the website for more info. The End of an Era – Last Friday was the final taping of One Life to Live, a tearful day for the actors of my favorite soap opera. My heart goes out to the cast and crew who worked on the show for so many years, and then were unceremoniously kicked to the curb (Thank you, ABC). Some of you may know I was planning to “retire” in Llanview, USA, where the fictitious soap was set. Now, who knows? I may have to work forever. There are plans to move One Life to the web, but only time will tell how well that works. For now, I’ll just cry my eyes out, for the loss of so many juicy storylines and appealing characters. I mean, where else could you see on TV, characters grow up, from infancy to adulthood, in about five years? Art Meets Glass — Don’t forget! You still have until this Friday to enter my first giveaway! Read the post, Art Meets Glass and Then Some to find out how. So, Happy Thanksgiving everyone! Happy Black Friday, too. And if you’re looking for me on BF, I’ll be the one with the blithering, far off, uncaffeinated stare, waiting on a line about six blocks long, just to fulfill my civic duty as an American consumer. How I wish your idea of holding Black Friday during the summer months would catch on! It’s horrid, having to leave a toasty warm bed to stand in line outside in the cold, with your breath making smoke, your hands clad in mittens, your feet in boots, and a heavy coat wrapped around you! Then, what to do with the coat once you get inside?? These reads seem interesting. I’ll have to check them out. As well you should! Let me know what you think! I adore Huffington Post. I love that you write for them…So Cool. — “Queen of America” sounds great. –& About Black Friday: I’ve never gone. I’d rather pay full price & stay in bed w/ Mr. Liverpool. Oh, yes, let’s here it for replacing the ‘cents’ mentality with some old-fashioned good sense. You may well be aware of this, but there’s a fascinating history behind the timing of Thanksgiving, which, as a national holiday, we owe to a woman, Sarah Josepha Hale. I wrote about it last Thanksgiving, and, inspired by your post, I just added the link to Facebook. Something tells me you’ll appreciate it. Have a great Thanksgiving. I thought the timing had to do with FDR and Congress voting on whether it should be the third Thursday or the fourth. Some states were celebrating on their own terms, before it was nationalized. I have never in my life understood the appeal of shopping the day after Thanksgiving. The crowds, the parking lots, the lines, the rush of scowling people: total anxiety, not at all fun. For me, it’s a day to read, listen to beautiful music, and a movie — this year to definitely see the Muppet Movie. When it’s time to shop, two or three weeks later, I shop at places like the gift shop of The Museum for Making Music, the main Barnes & Noble, Warwick’s, Trader Joe’s, Amazon, etc. and a few others and put together a potpourri of gift items, decorated with ornaments, and listening to beautiful Christmas music and having eggnog. But Black Friday, no way. Those sound like good alternative plans. Really my favorite way of shopping these days is online. It’s so convenient. I shopped on BF only once, to buy a Coach purse my daughter just HAD to have for Christmas. I say the time I wasted losing sleep and standing in line was definitely NOT worth the $100 I saved. Never again. Instead, I’ll spend that time reading good books like Silver Sparrow and Queen of America. Can’t wait for both events – thanks for the share Monica!! Here’s a little secret about shopping on BF. Go in the evening. It’s far less crowded and there are still good deals to be had. I usually wait until 7 or 8pm to go, and it’s so worth it. Enjoy your holiday! I can’t stand holiday shopping crowds. I have to buy gifts early or online to avoid them. Just the thought of the parking lot gives me hives! I think I’ll stay home and read Silver Sparrow instead. I love shopping online. It’s so much more relaxing. Hope you have a wonderful Thanksgiving, too! Books, oooh I can’t wait to read and read this holiday wkend. I have just been given ‘Pope Joan’ – have you read it? – quite interesting so far. Silver Sparrow sounds amazing!! can’t wait to read it. Have a wonderful Thanksgiving! I love how you know these details about Colin. It really humanizes him. Oh yes, definitely read Silver Sparrow and let me know what you think!! Happy Thanksgiving! It’s crazy. I really have never been one to get up in the middle of the night. But now that they’re opening the night before, on Black Friday Eve (aka, Thanksgiving), we’ll see if that draws in more crowds. Personally, I hate it. It’s getting way bigger than Thanksgiving, which used to be the only holiday that hadn’t been commercialized. First of all, I refuse to get caught up on Black Friday. Why on earth would anyone get up before dawn to buy things? Makes no sense to me, especially if you wait and go out later that afternoon, the stores are empty. Also, regarding your flying and marriage analysis. I can’t comment because I hate to fly because I practically think that statistic is true. You no longer have to get up at dawn. Stores are now opening anywhere from 10pm to midnight Thanksgiving eve. In fact, there’s a movement afoot to rename Thanksgiving Day, and call it, Black Friday Eve. What do you think? Will it fly? The same to you, Monica.. I am with family and my daughter is flying home from college tomorrow. I am so very excited, miss that darn girl. ohhh, Thanks for this list. I am always looking for a really good book to lose myself in. I love it when I am lost in a book. Cool about HP, I didn’t know. I love these types of stories, they give me tingles. I hope you have a wonderful TD. And yes, BF and CM, how can they be bigger than the reason we have holidays. Well, you can’t miss with these two books. I’m really, really enjoying Silver Sparrow right now. It’s so well written. And yes, it really is annoying that BF (and to some extent, CM) is honing in on TD. The madness needs to stop. I think it would be fun to have BF in the summer. Really big sale to get a head start on Christmas or even back to school shopping. And then we can go back to appreciating TD for what it really is. A good old-fashioned family holiday. 😉 I hope your Thanksgiving is truly the best! Well you aren’t going to see me on BF unless you come to my house and rouse me out of bed! I’ve never understood the appeal. Perhaps nothing I’ve wanted that badly (George Clooney) can be purchased on BF. No matter how long I wait in line! If you ever figure out how to purchase George, let me know. I’ll be willing to split it with you!